The shocking murder of admired media and advertising persona Jim Leslie spurred journalist and political insider Bill Keith to thoroughly investigate Police Commissioner George D’Artois. Viewed by the citizens of Shreveport, Louisiana, in the 1970s as a powerful yet mindful figure, D’Artois was able to hide his corrupt activities. That is until Leslie’s murder shed light on his corrupt behavior. Fueled by his responsibility to uncover the truth, Keith delves into D’Artois’s political and personal life. As the investigation unfolds, the commissioner’s participation in embezzlement, racial prejudice, pay-offs, and abhorrent abuse of authority is exposed. Years of disregarded evidence slowly begin to reveal the commissioner as a fraudulent politician striving to bring organized crime to the city. Although every aspect of his career is called into question, D’Artois does not back down. Instead, he uses his powerful ties to hinder Keith and the five courageous lawmen that try to put a stop to his criminal ways. With each passing month and published newspaper article, the citizens of Shreveport direct their attention to the political upheaval occurring around them. 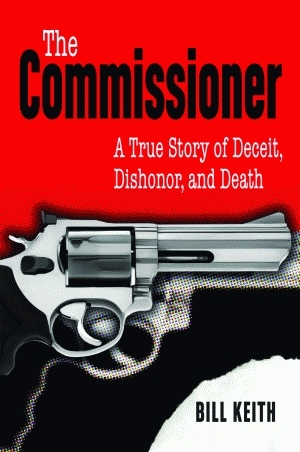 Multiple indictments for felony and tampering with evidence eventually lead to the commissioner’s resignation; however, his crooked behavior did not cease until the assassination of Jim Leslie was resolved. It is only then that the shaken city was able to put the damaging rise and fall of D’Artois to rest. Bill Keith received a bachelor of arts degree in journalism from Wheaton College in Illinois. He continued his studies at Southwestern Baptist Theological Seminary in Fort Worth, Texas. Following graduation, Keith worked as a journalist for forty years and traveled to thirty-five foreign countries. Some of his journalistic credits include working as a war correspondent in Vietnam, an investigative reporter for the Shreveport Times, and city editor for the Shreveport Journal. He resides in Longview, Texas, with his wife and is a full-time writer.